Among God's many gifts, next to life itself, is our sight. It is to the ministry of preserving such a precious gift that my practice is dedicated. 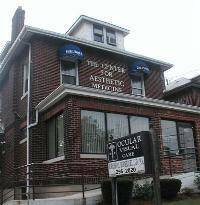 Our office aims to provide the highest quality eye care. Your eyes are for life, and so should your vision care. We take the time to get to know about your health and how it impacts your eyes. Our holistic approach to eye care emphasizes prevention as well as treatment and ensures that you get the best possible advice, options and prescriptions for your eyes and vision needs. Want to know more about caring for your eyes? Keep up-to-date through our web site. Have a few minutes? Find out more about eye care online. Our practice is proud to have made the quantum leap into Electronic Health Records. There are national and state programs that provide aid to people who need vision care.